What do Stormtroopers, Steve Buscemi, and suicidal goldfish have in common? They are all subjects of zines featured in the second annual Orange County Zine Fest! 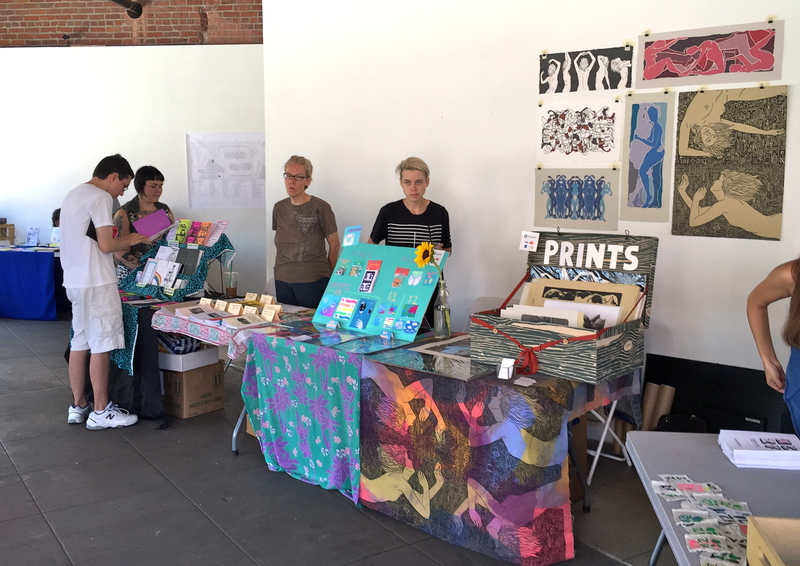 On July 19, zinesters descended on the Orange County Center of Contemporary Art in Santa Ana to purchase the latest zines and and meet local zine-makers. Now for those who don’t know, a zine is a DIY book made of images and text. Southern California zine culture has boomed over the past few years. Zine Fests have been held in the heart of Los Angeles, Long Beach, Orange County, and San Diego. The Last Bookstore, Seite, and Skylight Books have an entire section dedicated to zines. UCLA and Orange County Public Libraries are even collecting zines for their archive. This year, the OC Zine Fest held a variety of workshops, including a workshop that featured award-winning cartoonist Lalo Alcaraz, whose new show “Bordertown” premieres on FOX TV in January 2016. With over 80 vendors and a solid turnout, the 2015 OC Zine Fest succeeded in promoting zine love and the indie press movement.